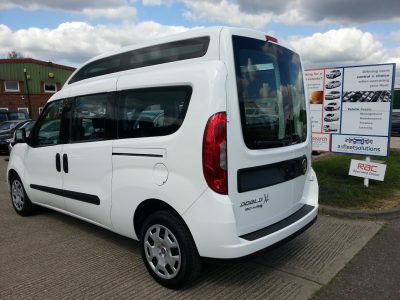 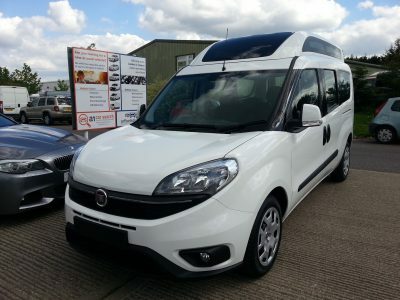 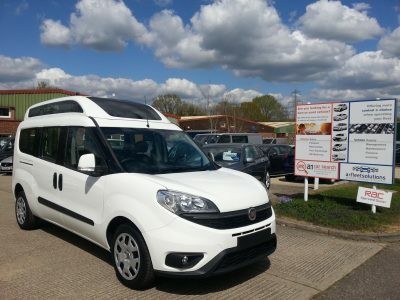 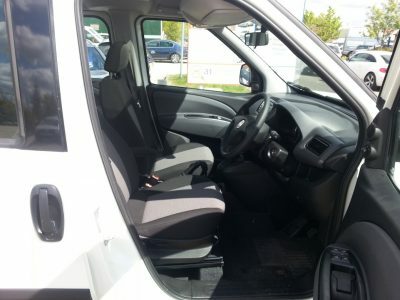 The Fiat Doblo XL is the cheapest option we have available for our taxis. 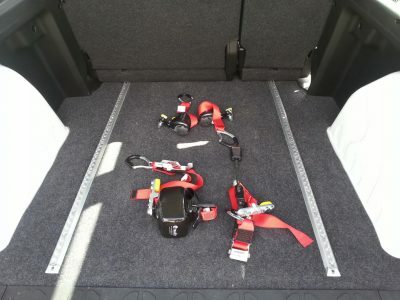 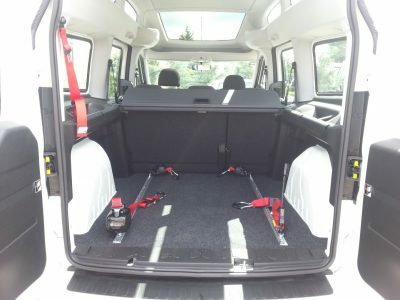 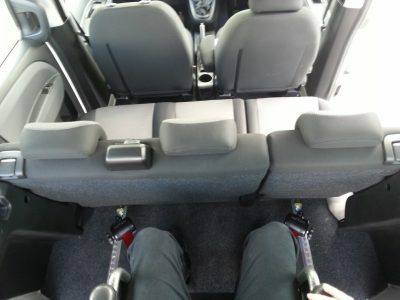 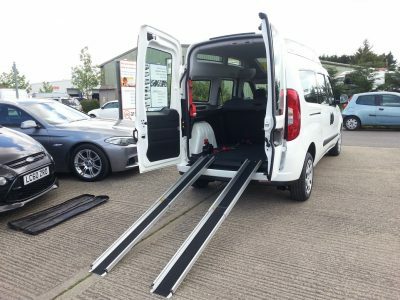 Due to the height of the vehicle a wheelchair user can fit comfortably in the rear without the need for the floor to be lowered, meaning this conversion simply includes 1 set of removable wheelchair pods on rail and a telescopic ramp. 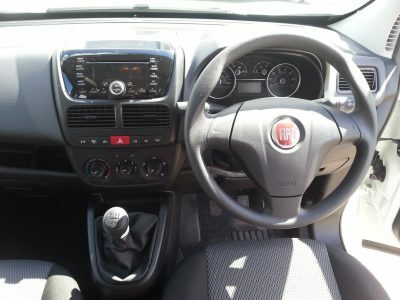 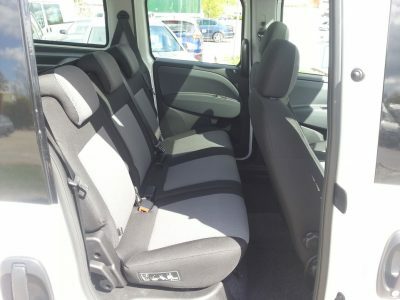 The specification of the vehicle includes air conditioning, reverse parking sensors, cloth upholstery, Electric front windows, Electric mirrors, CD/Radio, overheard storage, lockable glove compartment, isofix and remote central locking. 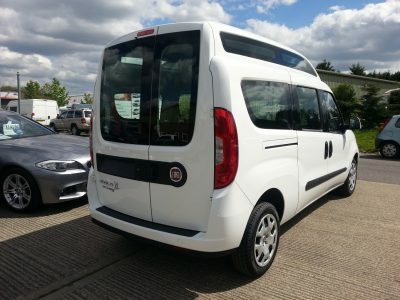 We keep our standard conversion basic so that you can choose the extras that are specific to your needs, making your vehicle completely bespoke to you. 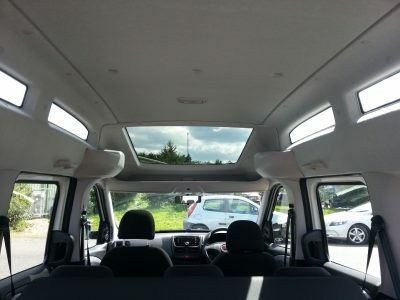 We can fit almost any conceivable extra from CCTV to in-car entertainment, give us a call on 01444 620620 or fill in the form below for more details.